FREE College Life Your Way Event At Ikea! You are here: Home / FREEbies / FREE College Life Your Way Event At Ikea! On July 14 – 16, from 9:30 am – 4 pm only! 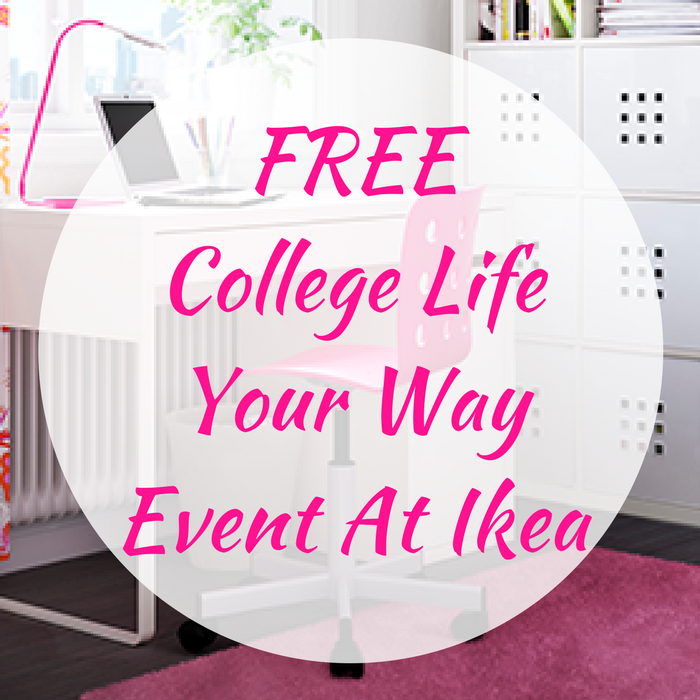 Ikea will be having a FREE College Life Your Way Event packed with giveaways, helpful tips and great deals on dorm essentials! Even better, the first 250 IKEA Family Members to show up each day of the event will receive a FREE Gift! Plus, two lucky shoppers will be chosen daily to score a FREE $100 Ikea Gift Card. This is awesome! Mark your calendars now!